Time to pick up your shoes. After decades on 7th St. between 1st and 2nd Avenues, David's Shoe Store and Repair is closing. The owner says the rent has gone up too high, and he is forced to move out of the neighborhood. He'll be in business in the East Village until next week, and expects his last day to be Friday, May 31. In 2008, we heard rumors that the old cobbler would be closing due to doubled rent. But then David's grandson, also named David, renovated the place and reopened in 2009. 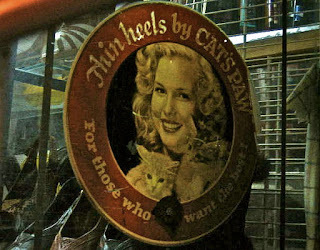 He continued his grandfather's tradition, and kept the window just the same, with its hand-painted red sign and its Cat's Paw ad that probably dates back to World War II, if not earlier. The space has held a cobbler's shop for a long time. Certainly half a century. 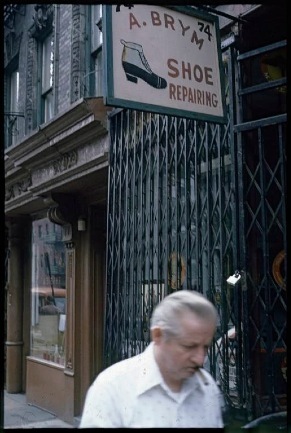 Before David's, it was A. Brym Shoe Repairing--also Ukrainian and the likely source of the Cat's Paw girl. There she is, with her kittens, in the old photos. photo: Edmund V. Gillon, Jr.
Whatever is coming next to this space, we can bet it won't be a cobbler shop. They've been getting run out of town. 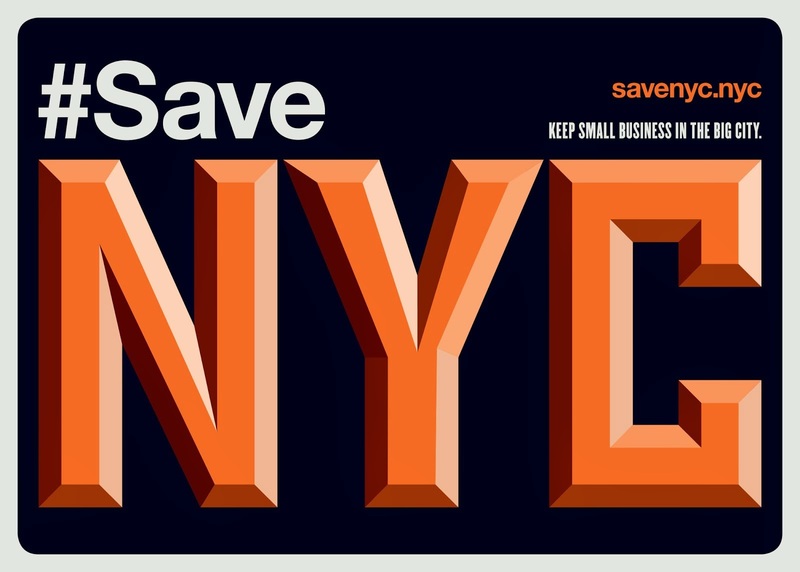 And while it's good to know David will still be in business elsewhere, the soles of the East Village will suffer. As for the Cat's Paw girl, she'll likely just be scraped away. Noooo! Been going there forever: fair prices and great work done quickly. Damn, now what do I do with my scraped-up heels? This is off the shoe store topic but I was wondering if you have seen this? I feel that air bnb is a quickly escalating problem in this town and the argument that it should be allowed so people can subsidize their rent to stay here is counter productive to those of us trying to actually live in New York. I am worried this billion dollar company will come here and payola our politicians to change the laws and the sheeple will simply follow suit. Is it so outrageous to think that we shouldn't have to move out of our homes periodically so that the ruling elite can squeeze just a few more bucks out us? I never expected this town to be easy but these distortions to the market must stop. I remember the A. Brym shop as far back as 1973. My dear, departed friend Kim lived at 74 East 7th Street on the ground floor, and I spent many months crashing there before I moved into my own apartment at 308 East 6th Street. There was a shoemaker on 6th Street, too...but that space was taken over by an Indian restaurant many years ago.